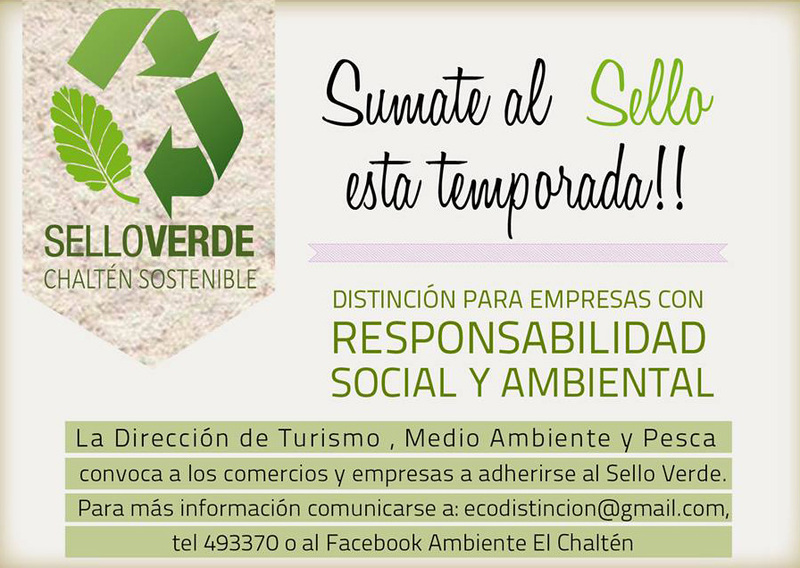 We are pleased and proud to share with you that the Hotel Lunajuim has applied the Certification for Businesses with Social and Environmental Responsibility "Green Seal-El Chalten" for its commitment to Sustainable Chalten. Certification issued by the Commission for the Promotion of El Chalten, and the Department of Tourism, Environment and Fisheries. El Chalten is located in the Patagonian region of Argentina, in Los Glaciares National Park. It was declared National Hiking Capital enhanced by the magnetic Mounts Fitz Roy and Torre and it is a Mecca for climbers from all over the world. Chaltén means ?smoking mountain?, because of the clouds which cover the peak, 3.375 mt, the highest one in Patagonia.